We took our #GROWTH community building initiative a step further – this time to Jakarta. 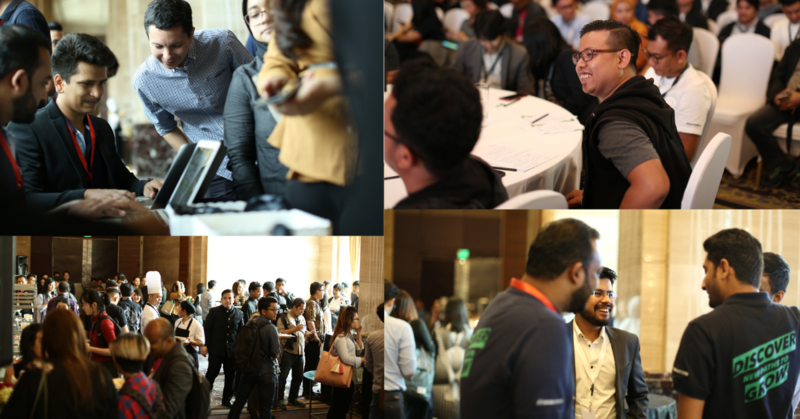 Our most recent user conference #GROWTH19 Jakarta saw an interesting mix of product owners, marketers, and founders engaged in insightful sessions, open conversations, and lots of networking. We launched our new product segments MoEngage Analytics and On-site Messaging for the SEA market. 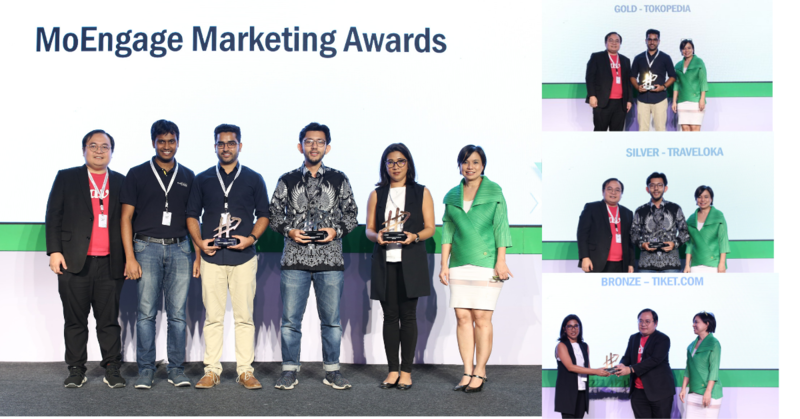 And before we could wrap-up, the MoEngage Marketing Awards 2019 celebrated marketers and brands that have been driving unprecedented growth over the last year. We thank our customers, partners, and growth leaders for being a part of the #GROWTH community. If you missed the event, here are the highlights of #GROWTH19 Jakarta. 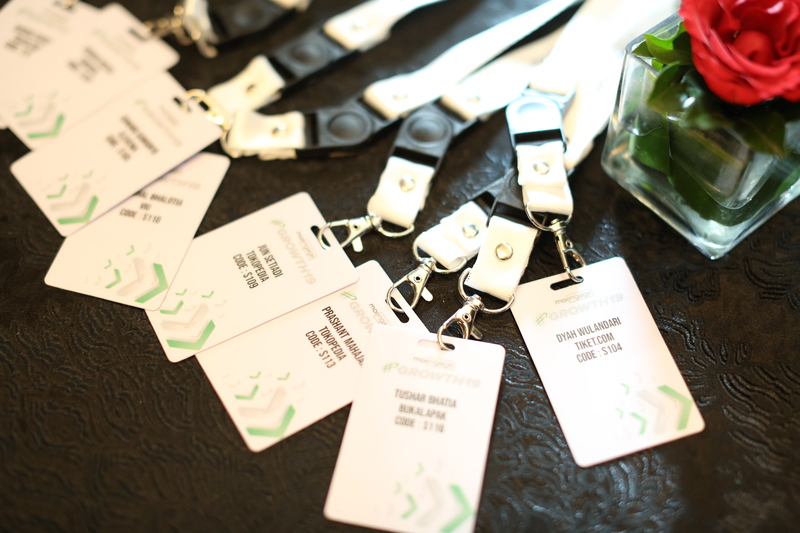 Delegate registrations started with a warm welcome from the MoEngage team. Ashwin S L, Director, Marketing at MoEngage, flagged-off the conference with an overview of our #GROWTH community initiative. Chiragh Kirpalani, Founder at Ayopop, Chen Chow Yeoh, Co-founder at Fave, and Raviteja Dodda, CEO and Co-founder at MoEngage shared tips and advice to budding entrepreneurs about rapid experimentation and product market fit. Growth lessons on building the right marketing technology stack as Traveloka did by Aurora Marsye, Head of Marketing Technology at Traveloka. Meanwhile, the attendees experienced MoEngage’s intelligent marketing platform first-hand in the experience zone. Raviteja Dodda, CEO at MoEngage and Nalin Goel, VP Product at MoEngage shared the MoEngage Vision and also launched MoEngage Analytics and On-site Messaging. 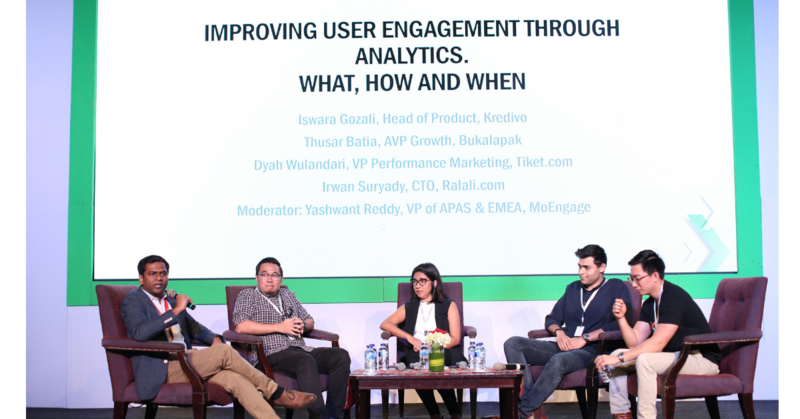 Iswara Gozali, Head of Product at Kredivo, Tushar Bhatia, AVP Growth at Bukalapak, Dyah Wulandari, VP Performance Marketing at Tiket.com, and Irwan Suryady, CTO at Ralali.com discussed the nuances of user engagement through analytics with Yashwanth Reddy, VP Sales at MoEngage. Jun Setiadi, Internet Marketing Lead, and Prashant Mahajan, Senior Lead Product Management at Tokopedia shared lessons and stories of successful collaboration to drive hockey-stick growth. In a panel discussion, Edward Killian Suwignyo, Chief Sales and Marketing Officer at Elevenia, Subir Lohani, Chief Growth Officer at Digiasia, Fung Fuk Lestario, Chief Product Officer at Cermati.com deep-dived into brand building and loyalty in the era on unlimited choice for consumers. This panel was moderated by Mahendra Dhiraj, Head of Business Analytics and Consulting at PT GTech Digital Asia. Kaushal Bhalotia, Director of Products at Viu spoke about capitalizing the online audience insights as a driver for growth. We wrapped an eventful day with the most-awaited “MoEngage Marketing Awards 2019”. Congratulations to all the winners! We at MoEngage, are proud to host this unique conference designed to celebrate, discuss, learn, and be inspired by the innovations in growth marketing. 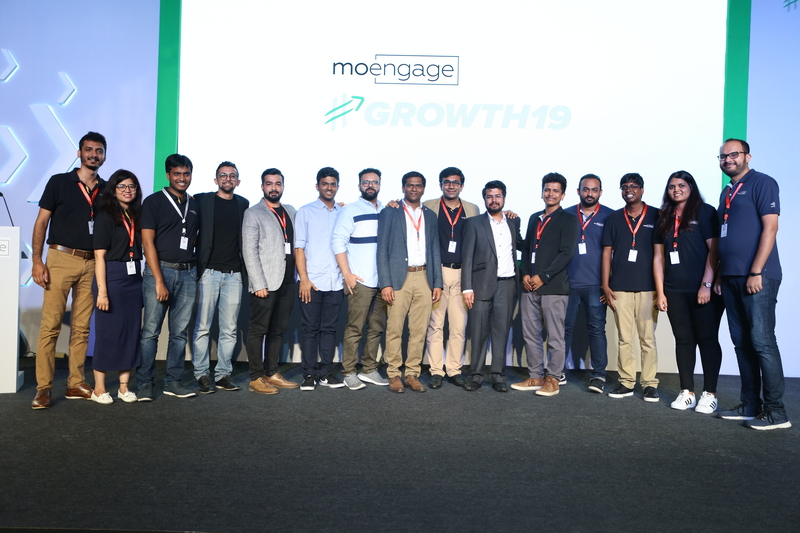 Stay tuned to our blog to catch glimpses from #GROWTH19 and keep up with further updates from MoEngage.